Officer, it’s not what it looks like! I did not steal this car; that’s my key! Why are you getting out your taser?! 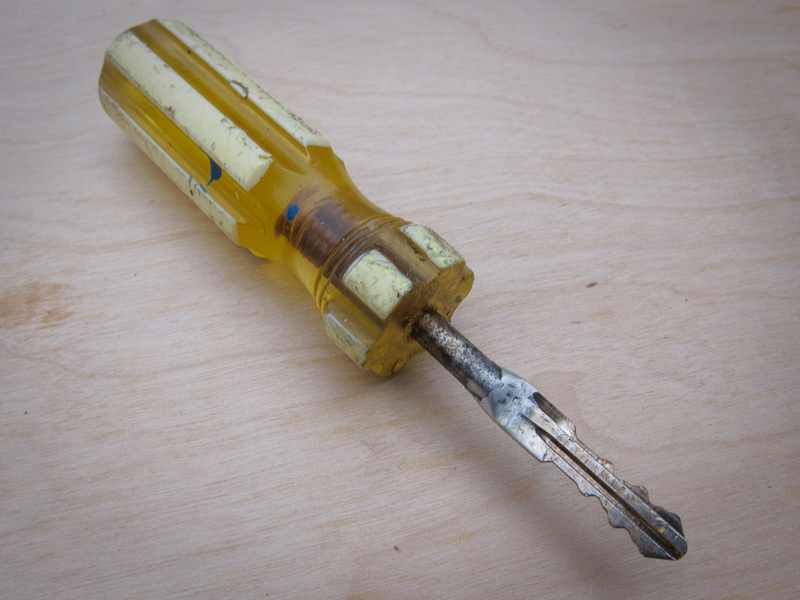 Hit the thrift store or a nearby garage sale and get a beat up old screwdriver with a shaft about the same thickness as the width of your car key. Don’t get a new screwdriver; you want one with some character, one that looks like it might have stabbed someone. Cut the shaft down to about an inch long. 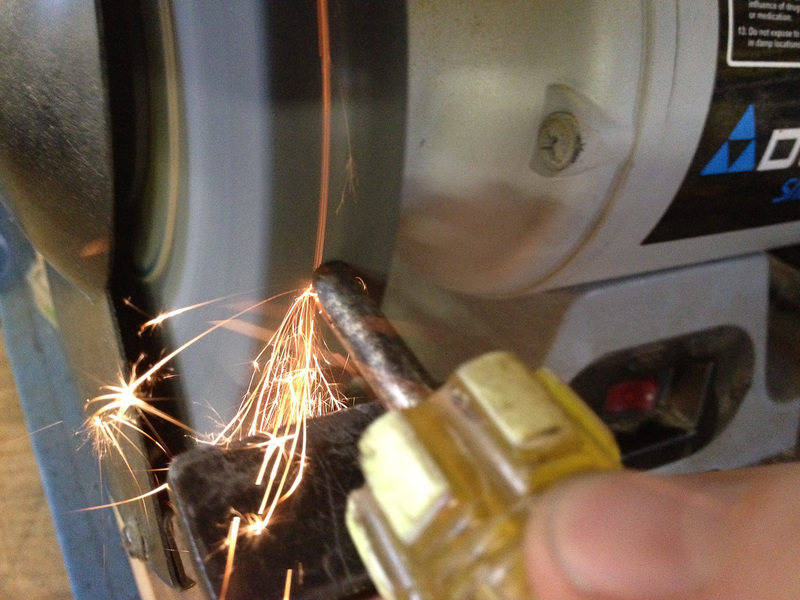 Cut a slot 1/4″ – 3/8″ deep in the end of the shaft. This is not a precision job. Round the end on a grinder or with a file. 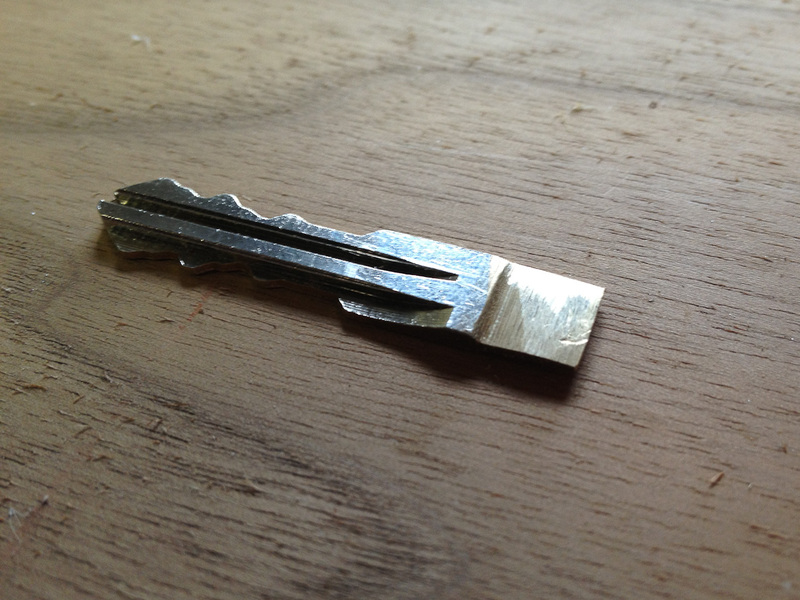 This will give a nice, smooth transition between the key and the screwdriver shaft. 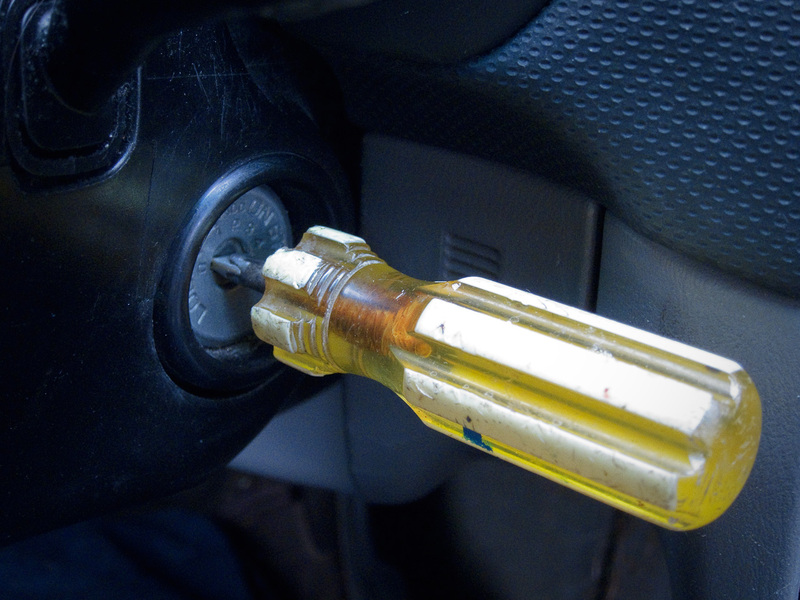 Take your car key out to the car, put it in the ignition, and mark how far in it needs to go to start the car. 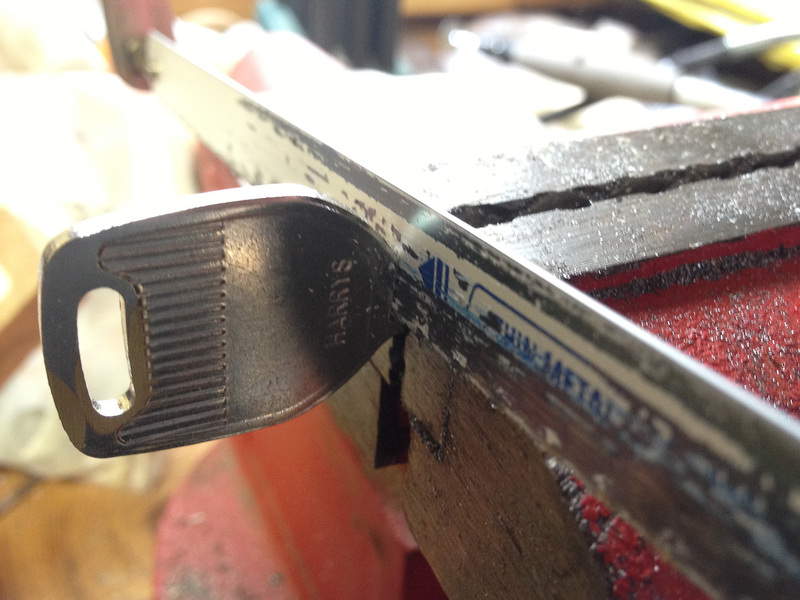 Add the depth of the slot you cut in the shaft to that mark, then cut. Oh, and use a spare key for this. Not your one-and-only original. 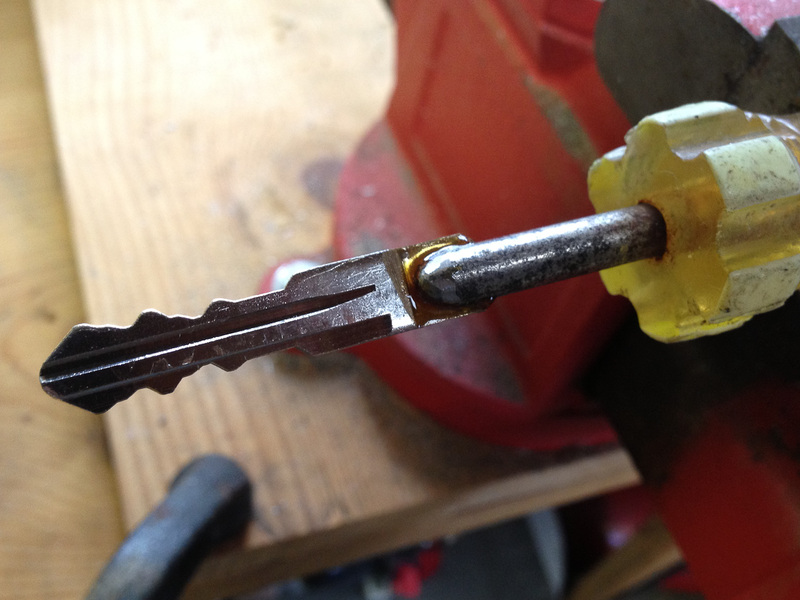 The key needs to fit into the slot you cut in the screwdriver, so unless you gut a lucky match between your key and your kerf you can either widen the slot or narrow the key. I chose the latter and thinned it on a belt sander. Don’t take off to much because you want the key to fit tightly. Put some flux on it the key, then tap it into the slot on the screwdriver shaft. Be sure that everything is lined up. With a torch, silver solder the key to the screwdriver. 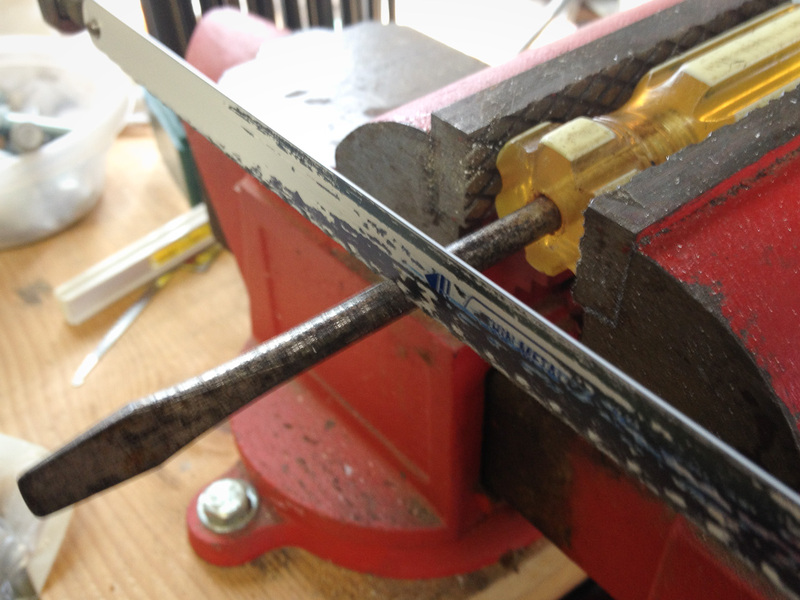 With a file or grinder, taper the edges of the key to meet the screwdriver shaft. 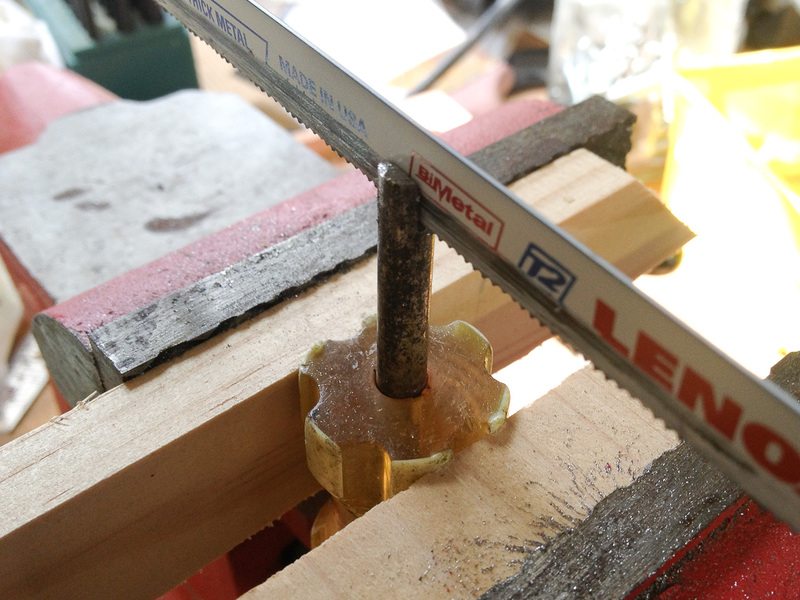 Smooth it with some sandpaper and clean it with a wire wheel in a Dremel. All done! Now cruise around like the grand theft auto thug you are! If you make your own, take a picture and email it to me (nathan@ the domain name of this site) and I’ll share it here if you’re willing. Bonus points if the picture includes police in the background ordering you out of your car! NOTE: Having this much weight and leverage hanging out of your ignition is not going to be good for it. One bump and your tumblers are toast. It also won’t work if you’ve got a modern car with a chip in the key. Consider yourself warned. 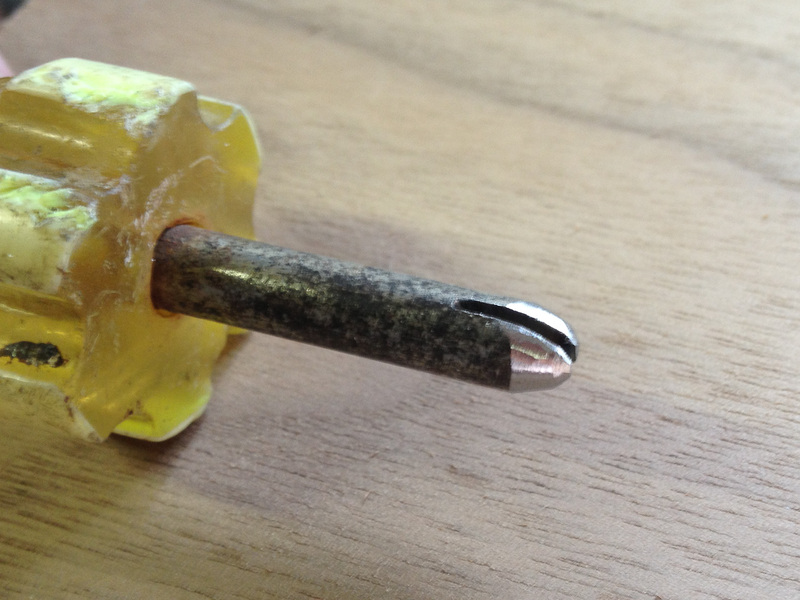 [May 6, 2013] HaHaBird reader Richie emailed pictures of the screwdriver key he made. Nice work!